It is not uncommon for individuals to underestimate the potency and power of cocaine. The drug can be snorted, injected, or smoked depending on the variation of the drug that individuals obtain. Many people use cocaine recreationally with little regard to the negative outcomes and dangers involved. There is a common misconception that cocaine is not addictive, however, the drug can be highly addictive and habit-forming when taken regularly. With cocaines’ potency increasing present day, the additives that the drug is ‘cut’ with pose a high risk of dangerous side effects. One of the most dangerous side effects of cocaine use is an overdose. With any illicit drug comes the risk of overdose which is why it is never safe to take drugs as you never truly know where they are sourced from. Cocaine is classified as a schedule II stimulant drug which means it has a high potential for abuse, especially in those who are predisposed to the disease of addiction and those who have compulsive tendencies. The drug affects the central nervous system which works to elevate heart rate and blood pressure, among other functions of the body. 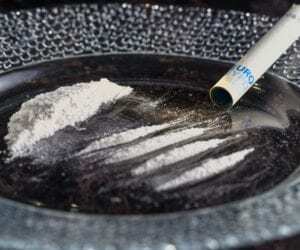 Cocaine is a highly addictive drug due to the fact that enhanced experiences as it relates to the chemicals and neurotransmitters in the brain, releasing dopamine, a ‘feel good’ chemical. Although this chemical is naturally produced, cocaine applies its effects, leaving the individual experiencing feelings of pleasure and happiness along with increased energy levels. Those who have begun using drugs at an early point in their lives and continued to use into adulthood are at an increased risk of developing an addiction. It’s important that if you are experimenting with cocaine that you seek help as use and abuse and rapidly turn into dependency and addiction. There are many long-term health consequences of cocaine use which can be irreversible. If stopped in time, the short-term effects of cocaine use can be reversed but only if the individual stops early on in their use. Never underestimate the power of cocaine as it is one of the most common drugs that are cut with hazardous additives, ones that can put you in a life-threatening situation. If you are using drugs and are ready to seek help, treatment and therapy is available.